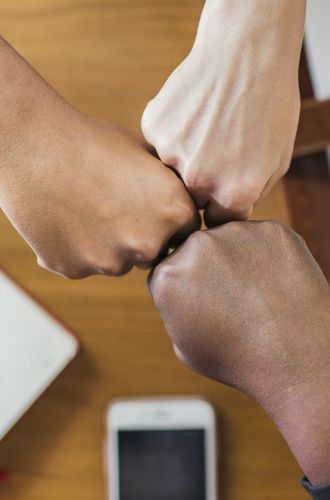 FBUMA serves as the collective entity of employers (businesses) in our Industry and is therefore registered (in terms of the Labour Relations Act) as an Employers Organisation. FBUMA represents its members in collective bargaining with Unions at Industry level. 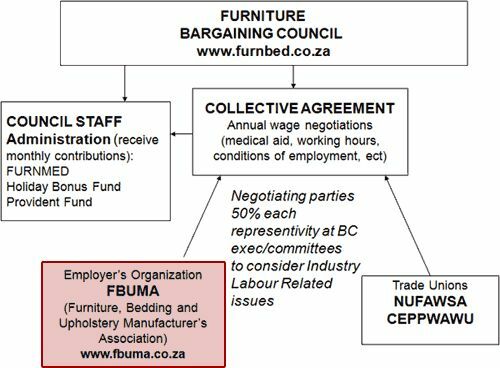 These negotiations take place at the Furniture Bargaining Council and include negotiations of wages and conditions of service for the majority of employers in our Industry. Provides up-to-date information to members about labour related matters within the Industry and the South African Labour arena. FBUMA is a non-profit oriented organisation and we endeavour not to burden members with exorbitant membership fees. The following services are therefore not included in the membership fee, but can be provided to members at very competitive rates by accredited HR/IR specialists.